These printable valentines are perfect for Valentine's Day! They're cheaper than store-bought valentines, and they're just as cute! 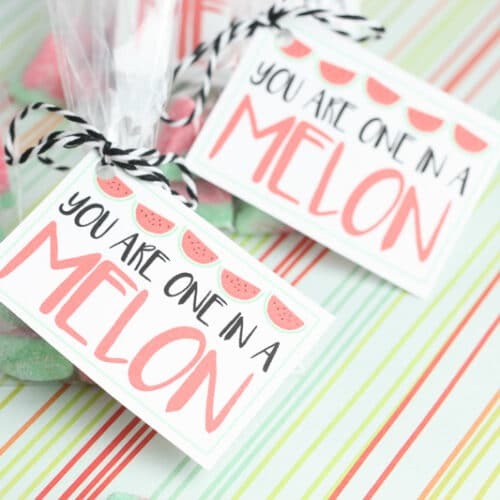 Place watermelon candy inside clear plastic treat bags. Tie twine around top of the bag to secure candy inside. Attach tag to bag with twine and finish by tying a bow.